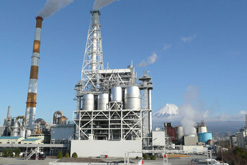 The Nippon Paper Group is a corporate group engaged in paper manufacturing and related businesses. Leveraging technologies that expand the possibilities for paper and technologies that make efficient use of wood resources, Nippon Paper engages in multifaceted activities that support lifestyles and industry, while transforming itself into a comprehensive biomass business. Nippon Paper will achieve this goal through its abundant biomass resources and the accumulation of technologies that make use of forest products. 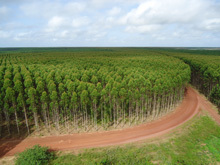 Nippon Paper cultivates an extensive range of domestic company-owned forests and overseas plantation areas. Through technologies that make use of forest products, Nippon Paper is creating a number of businesses that include the development of biomass electric power generation and bio fuels, and the commercialization of cellulose nanofiber.